(map) They say they have the biggest happy hour in Texas, and it is definitely a big deal. House wine and all beers are just $3, and all 12 appetizers are $3 off. Save $3 off every tequila drink also. 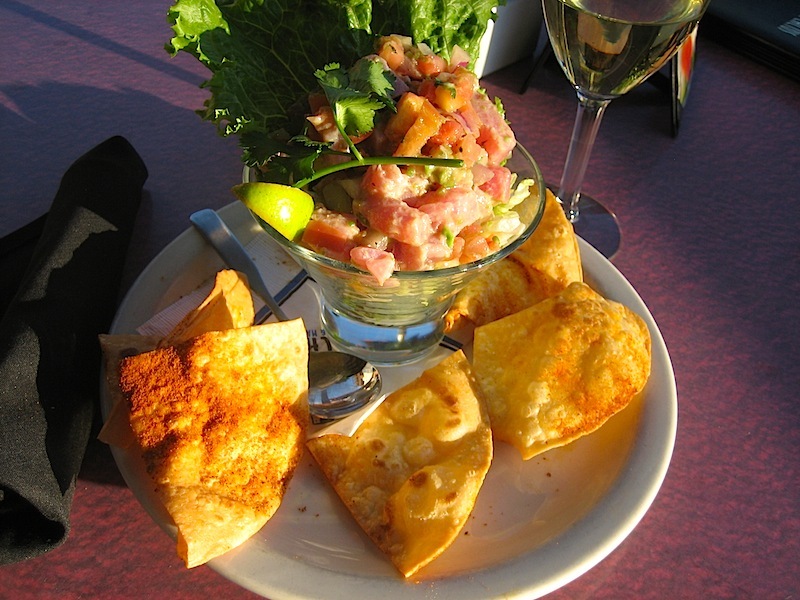 There are the usual nachos and queso, as well as some more exotic choices, like this Ahi Tuna Ceviche. Made with avocado and lots of fresh, tender tuna and served with house-made chips, it makes for a pretty happy hour, indeed! 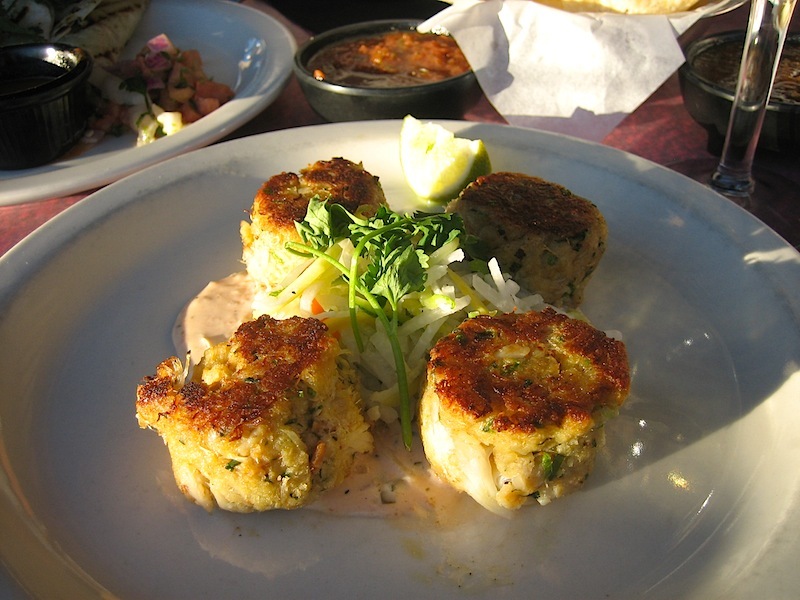 The cute Gulf Coast Crab Cakes were nicely browned. Serrano peppers spice up the cakes, and there’s a spicy remoulade sauce served alongside. 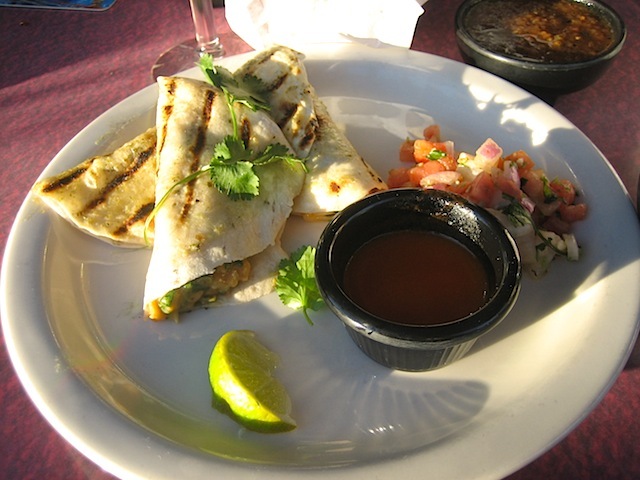 Lobster Tacos featured soft, fresh tortillas stuffed with chopped lobster and Monterey Jack cheese. Served with a sweet, red-pepper puree. Iron Cactus serves two kinds of salsa: a traditional one, and a smoky, roasted-tomato version. 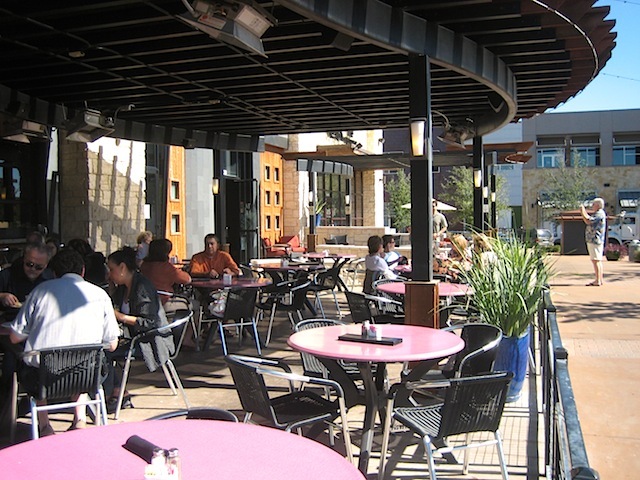 The sunny patio overlooks the Amphitheater at the Galleria, which is great for people-watching and sometimes, live music. 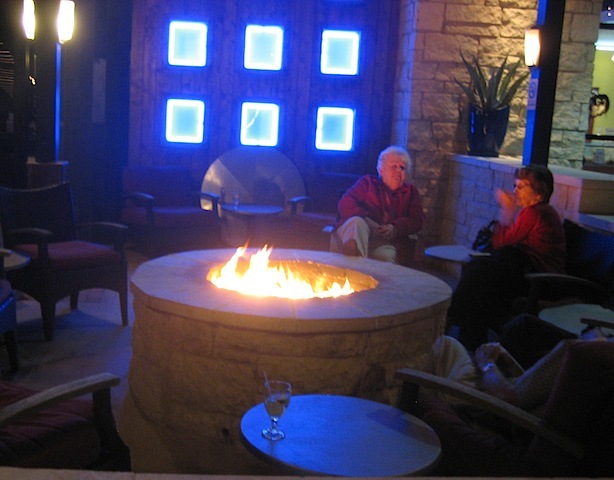 After dark, they light up the firepit.